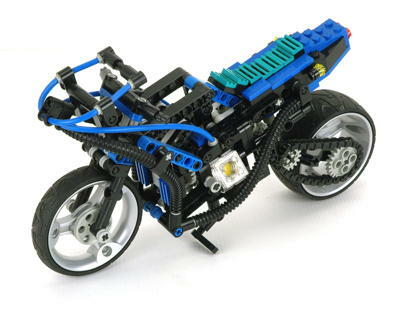 You could reasonably say there were 8 new Technic sets released in 2002, but you could also say there were 3 sets, or you could say there really weren't any. Each point of view is correct in its own way. Of the 8, 4 were in the Star Wars line and therefore may or may not be counted, depending on your point of view. 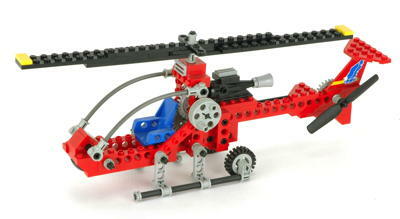 One was in the new Racers line although it was made of Technic parts. The 3 "traditional" models were all re-releases and therefore not new this year. The fact that no new traditional models were released certainly suggested something was amiss inside the company. 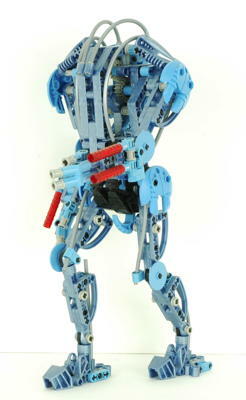 Some of us who were fans at the time feared that Bionicle would be replacing Technic and that it was therefore being phased out. Thankfully, this turned out not to be the case. Rather, the problems were related to finances within the company. 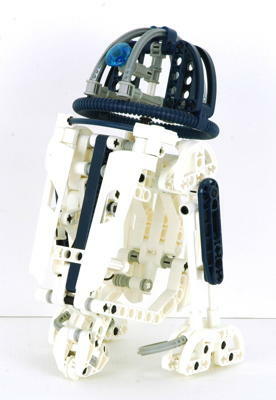 The 4 new Star Wars sets this year closed out the Star Wars Technic line. 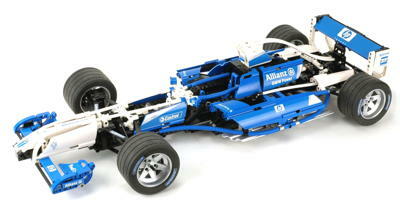 The 8461 Williams Racer was a virtual clone of 8457 in a different color, but was released as part of the Racers line instead of the Technic line. 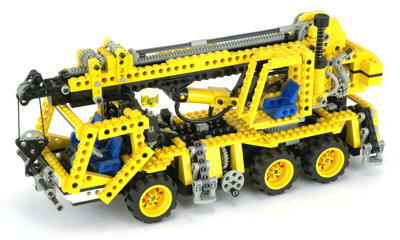 It is included here because it is clearly a Technic set, despite what the box says. Spybotics was another new robotic them introduced this year but is beyond the scope of this web site. The number of new parts was very minimal given the lack of new sets. 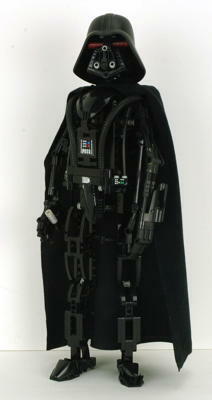 The new panels were used in the Williams set and the other new parts were used on the Star Wars models. 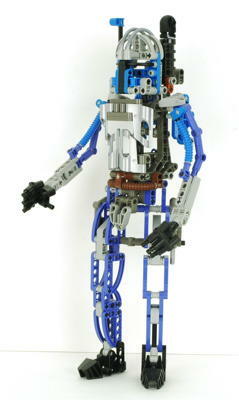 The Star Wars sets also made use of a considerable number of Bionicle parts, but those are not discussed here. The catalog of studless beams was nearly completed by adding the missing 11L length and also adding a 2L length, the only even value. An additional 2L thin liftarm was added with axle holes at each end. This part is not used often because the adjacent axle holes fit very tightly and are therefore quite difficult to remove. 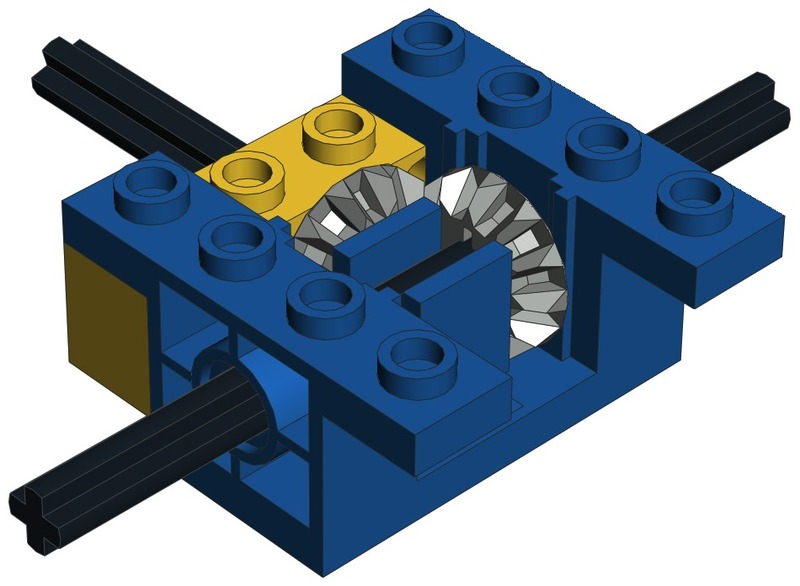 A further set of perpendicular axle and pin connectors was added. One of them included the useful 1/2 stud offset. Although the old curved panels had only been in production for 2 years, a new set of even smoother panels was released (#20 - #23). There were the same in overall dimension as the prior panels, but lacked the large slots to receive ribbed hoses. 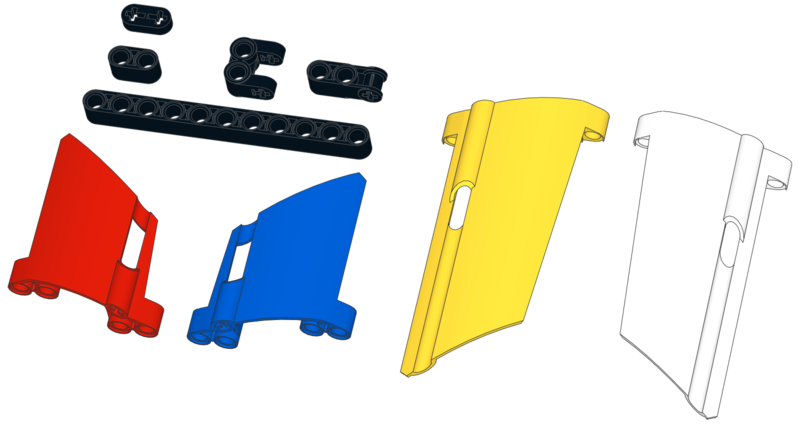 The new panels had a lower number of smaller slots sized only for flexible axles. The new panels did not completely replace the old. The two types were used in conjunction with each other for years.